Draft: 2010, San Francisco Giants, 6th rd. Michael Joseph Kickham (Kick-em)…father, Kevin, played tennis at Truman State…mother, Dana, played volleyball at Florida Southern…brother, Dan, played one season of minor league baseball in the Detroit organization…graduated from Glendale (MO) High School…attended Missouri State University…set the single-season record with 103 strikeouts in 2010…also pitched for Crowder Junior College. Made 20 appearances between GCL Marlins, Double-A Jacksonville, and Triple-A New Orleans, combined to go 1-1 with a 3.64 ERA (43.0 ip/17 er)...Opened season on 7-day disabled list with Baby Cakes...Activated on May 19 and made first appearance on May 21 against Omaha, tossing 3.0 scoreless innings of relief, allowing one hit, while striking out three...Made two relief appearances for Jacksonville from May 25-29, tossing a combined 3.1 shutout innings with three strike outs...Earned promotion to New Orleans on June 2 and went 1-1 in 14 appearances...Made longest appearances on June 7 against Las Vegas, tossing 3.1 hitless innings. Allowed one run, issued three walks, and struck out four...Earned first win of season on June 19 against Sacramento, tossing 0.2 innings, allowing one hit...Recorded season-high six strikeouts on July 6 against Colorado Springs...Had second 7-day DL stint from July 25 until August 28...Made one rehab appearance with GCL Marlins on August 24, where he tossed 1.0 shutout inning and struck out two...Rejoined Baby Cakes on August 28, where he tossed two shutout appearances to close out year, striking out five over a combined 5.0 innings...Seven of his 20 appearances went for at least 3.0 innings, with 14 going at least 2.0 innings. Posted 8-10 record with two complete games, one shutout and 3.65 ERA (145.2 ip/59 er) in 27 appearances (25 starts) between Double-A Jacksonville and Triple-A New Orleans. Innings pitched total was most since tossing 150.1 in 2014...Among Marlins farmhands, tied for organization lead in complete games, ranked third in strikeouts (119) and fifth in WHIP (1.15)...Named to Southern League Midseason All-Star team after posting 4-3 record and 2.26 ERA (71.2/18) in 13 first half appearances (12 starts)... Began season with three consecutive losses over first seven starts, despite allowing more than three runs just once...Made only relief appearance with Jumbo Shrimp on May 7 at Tennessee, tossing 1.0 scoreless inning...Followed skid with four-game winning streak over five starts from May 21-June 16. Over stretch, carried 0.55 ERA (32.2/2) and tossed four-hit shutout against Montgomery in second game of doubleheader on June 8...Tossed season-high 7.0 innings on May 21 vs. Mississippi. Equaled high on June 2 at Pensacola, June 8 vs. Montgomery and June 30 vs. Mobile...Struck out career-high 12 over 6.2 innings on May 27 vs. Jackson to earn Southern League Pitcher of the Week honors for period of May 22-28...With Jacksonville, held opponents to three-or-fewer runs in 14 of 17 starts...Promoted to New Orleans on July 19 and in nine appearances (eight starts) went 3-3 with 4.28 ERA (48.1/23)...Opened Triple-A stint with 3.1-inning relief appearance, July 19 at Round Rock...In first four starts with Baby Cakes, went 2-1 with 7.65 ERA (20.0/17). Settled in over final four starts, going 1-2 with 1.80 ERA (25.0/5). Went 8-8 with a4.43 ERA (73 ER, 148.1 IP) in 27 starts... Tied for 4th in thePaciﬁc Coast League with 131strikeouts, 4th in starts (27) and7th in innings pitched (148.1)... Was unbeaten in 12 consecutive startsMay 25-July 24…went 6-0 with a 2.74 ERA (21 ER, 69.0 IP) and 70strikeouts during the stretch... Made two relief appearances for the World Champion Giants in September. Made his big league debut with SF, going 0-3 with a 10.16 ERA in 12 games (three starts). 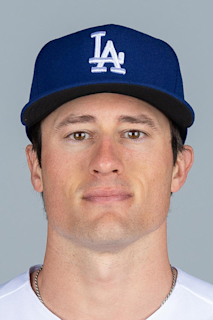 Had his contract purchased from triple-A Fresno on May 28 and made his Major League debut that night in Oakland, starting in place of Ryan Vogelsong. 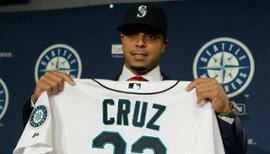 Became the first player from the Giants' 2010 draft class to reach the Majors. Was called up to the Giants' roster on five different occasions. Went 0-3 with a 13.94 ERA (16er, 10.1ip) in three starts for SF.His 13.94 ERA (16er, 10.1ip) over his first three starts marked the highest figure that any Giants pitcher had ever posted in their first three outings in the Majors. Made nine appearances out of the bullpen, allowing 17 runs in 18.0 innings. Opponents hit .351 (46-for-131) off him with 22 extra base hits. With runners on base, his opponents average against was .424 (28-for- 66). Made 20 starts with Fresno, posting a 4.31 ERA (53er, 110.2ip) with 90 strikeouts. December 3, 2018 Miami Marlins signed free agent LHP Mike Kickham to a minor league contract and invited him to spring training. December 3, 2018 LHP Mike Kickham assigned to New Orleans Baby Cakes. November 20, 2018 Estrellas Orientales placed LHP Mike Kickham on the reserve list. November 2, 2018 LHP Mike Kickham elected free agency. October 13, 2018 LHP Mike Kickham assigned to Estrellas Orientales. August 28, 2018 New Orleans Baby Cakes activated LHP Mike Kickham from the 7-day disabled list. August 24, 2018 New Orleans Baby Cakes sent LHP Mike Kickham on a rehab assignment to GCL Marlins. July 27, 2018 New Orleans Baby Cakes placed LHP Mike Kickham on the 7-day disabled list retroactive to July 25, 2018. June 2, 2018 LHP Mike Kickham assigned to New Orleans Baby Cakes from Jacksonville Jumbo Shrimp. May 23, 2018 LHP Mike Kickham assigned to Jacksonville Jumbo Shrimp from New Orleans Baby Cakes. May 19, 2018 New Orleans Baby Cakes activated LHP Mike Kickham from the 7-day disabled list. April 5, 2018 New Orleans Baby Cakes placed LHP Mike Kickham on the 7-day disabled list. February 8, 2018 LHP Mike Kickham assigned to New Orleans Baby Cakes. January 4, 2018 Miami Marlins signed free agent LHP Mike Kickham to a minor league contract and invited him to spring training. November 6, 2017 LHP Mike Kickham elected free agency. September 3, 2017 New Orleans Baby Cakes activated LHP Mike Kickham from the temporarily inactive list. August 30, 2017 New Orleans Baby Cakes placed LHP Mike Kickham on the temporarily inactive list. July 19, 2017 LHP Mike Kickham assigned to New Orleans Baby Cakes from Jacksonville Jumbo Shrimp. April 6, 2017 Mike Kickham assigned to Jacksonville Jumbo Shrimp. March 19, 2017 Miami Marlins invited non-roster LHP Mike Kickham to spring training. May 20, 2016 Richmond Flying Squirrels released LHP Mike Kickham. April 14, 2016 Richmond Flying Squirrels activated LHP Mike Kickham from the 7-day disabled list. April 7, 2016 Richmond Flying Squirrels placed LHP Mike Kickham on the 7-day disabled list. March 5, 2016 LHP Mike Kickham assigned to San Francisco Giants. January 20, 2016 LHP Mike Kickham assigned to Richmond Flying Squirrels. January 8, 2016 San Francisco Giants signed free agent LHP Mike Kickham to a minor league contract. June 11, 2015 Round Rock Express released LHP Mike Kickham. May 9, 2015 Texas Rangers sent Mike Kickham outright to Round Rock Express. May 8, 2015 Round Rock Express activated LHP Mike Kickham. May 5, 2015 Texas Rangers claimed LHP Mike Kickham off waivers from Seattle Mariners. May 5, 2015 Texas Rangers optioned LHP Mike Kickham to Round Rock Express. 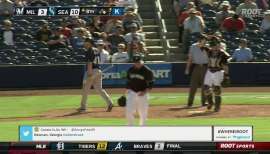 May 4, 2015 Seattle Mariners designated LHP Mike Kickham for assignment. March 15, 2015 Seattle Mariners optioned LHP Mike Kickham to Tacoma Rainiers. January 14, 2015 Chicago Cubs traded LHP Mike Kickham to Seattle Mariners for RHP Lars Huijer. January 9, 2015 Chicago Cubs designated LHP Mike Kickham for assignment. December 23, 2014 Chicago Cubs claimed LHP Mike Kickham off waivers from San Francisco Giants. October 30, 2014 San Francisco Giants activated LHP Mike Kickham. October 1, 2014 San Francisco Giants reassigned LHP Mike Kickham to the minor leagues. September 1, 2014 San Francisco Giants recalled LHP Mike Kickham from Fresno Grizzlies. May 15, 2014 Fresno Grizzlies activated LHP Mike Kickham from the 7-day disabled list. May 9, 2014 Fresno Grizzlies placed LHP Mike Kickham on the 7-day disabled list retroactive to May 6, 2014. March 12, 2014 San Francisco Giants optioned LHP Mike Kickham to Fresno Grizzlies. August 23, 2013 San Francisco Giants recalled Mike Kickham from Fresno Grizzlies. August 22, 2013 San Francisco Giants optioned Mike Kickham to Fresno Grizzlies. August 20, 2013 San Francisco Giants recalled Mike Kickham from Fresno Grizzlies. July 11, 2013 San Francisco Giants optioned Mike Kickham to Fresno Grizzlies. July 9, 2013 San Francisco Giants recalled Mike Kickham from Fresno Grizzlies. July 7, 2013 San Francisco Giants optioned Mike Kickham to Fresno Grizzlies. June 24, 2013 San Francisco Giants recalled Mike Kickham from Fresno Grizzlies. May 29, 2013 San Francisco Giants optioned Mike Kickham to Fresno Grizzlies. May 28, 2013 San Francisco Giants selected the contract of Mike Kickham from Fresno Grizzlies. March 31, 2013 Mike Kickham assigned to Fresno Grizzlies from Richmond Flying Squirrels. 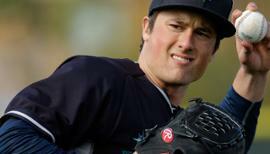 February 1, 2013 San Francisco Giants invited non-roster LHP Mike Kickham to spring training. 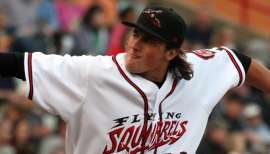 April 3, 2012 Mike Kickham assigned to Richmond Flying Squirrels from Augusta GreenJackets. May 13, 2011 Mike Kickham assigned to Augusta GreenJackets from AZL Giants. August 22, 2010 Mike Kickham assigned to AZL Giants. August 21, 2010 San Francisco Giants signed LHP Mike Kickham.